After the chaos of Hurricane Sandy and the absence of Halloween, Thanksgiving snuck up on me and I have absolutely nothing prepared! 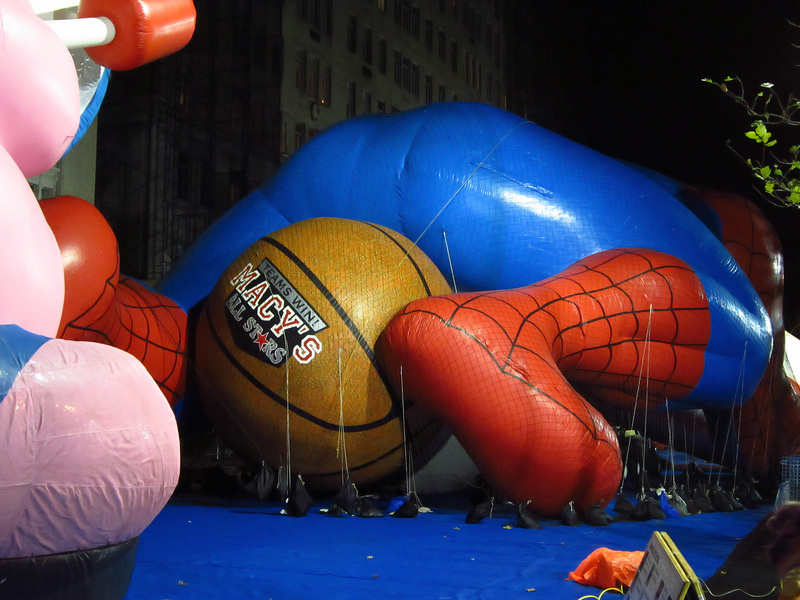 So, here is a re-post of my trip to the UWS last year to see the inflating of the Macy's Thanksgiving Parade balloons. Have a great holiday, everyone! There are a couple of only-in-New-York things I've wanted to do for a long time. 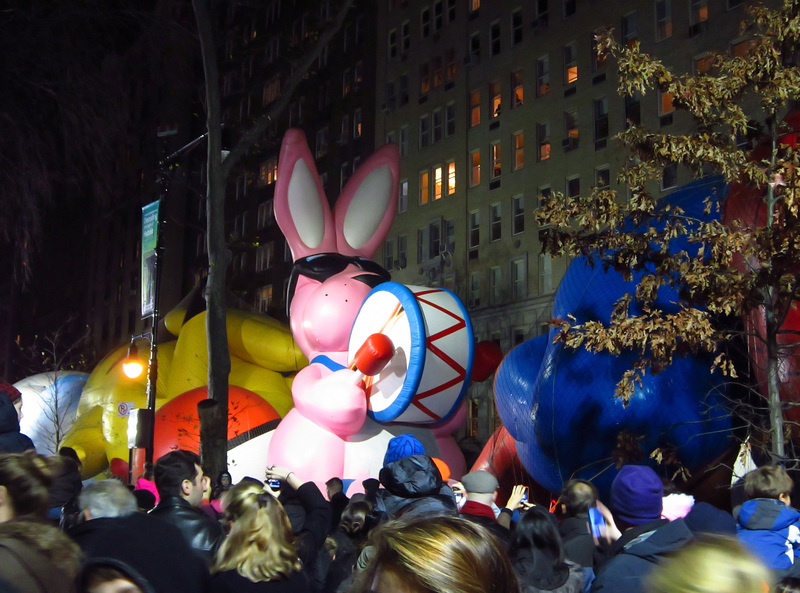 The first is to see the circus elephants march through the Midtown Tunnel at midnight. As of yet, I've not mustered the energy to go see this, but I have a feeling this tradition might not last long, so it's definitely on my list of unique things to do. 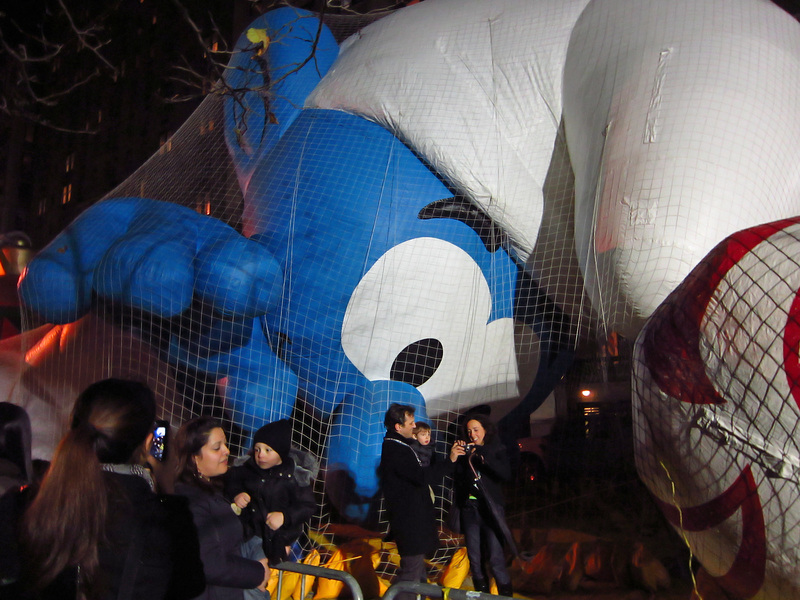 The other is to see the Macy's Thanksgiving Day Parade balloons being inflated on the eve of the parade. And, on the spur of the moment, I decided to check this off my To Do list.. I was stunned to see how many people were gathered around the Natural History Museum, where the balloons come to life - millions! It was almost like being at the parade itself - being squished and funneled down the sidewalk with what felt like everyone in the city. The crowd was happy, though, and the positive energy really made it a special experience. 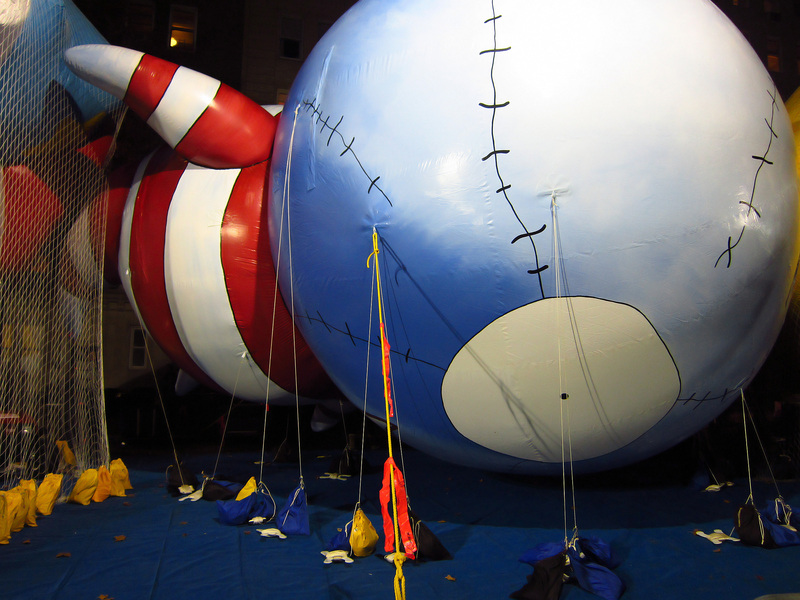 Here is Tim Burton's B. Boy getting ready for his maiden voyage. 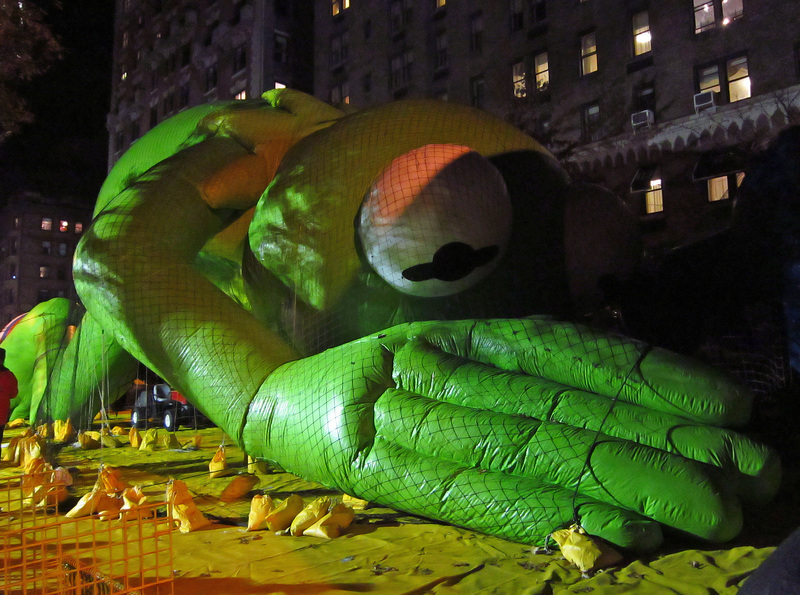 Almost all the balloons were face-down, by the way. I assume that's because they fly that way, but it was a bit creepy to see these characters with their faces pressed to the pavement. As the Energizer Bunny is alert and ready to go. Aaa! Look out behind you! 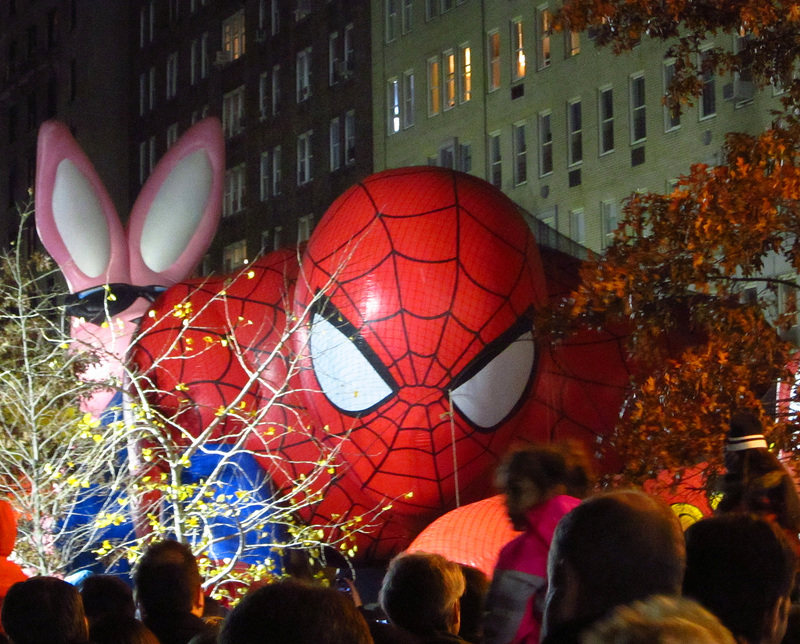 That photo of Spidey, the basketball, and the Energizer Bunny is practically NSFW. I hope they still do lead the elephants through the tunnel. The circus is so much less of a big deal than it was years ago, I fear they might not. Haha, poor Spidey! And, this is a good reminder that I've still not gotten around to seeing the elephants. Gotta do that before it's too late. I remember this post from last year. I used to always go watch this event when I lived on the Upper West Side in the early '90's. Back then you could drink on the streets and the cops would turn a blind eye if you weren't causing trouble and it was one big party. Happy holidays!